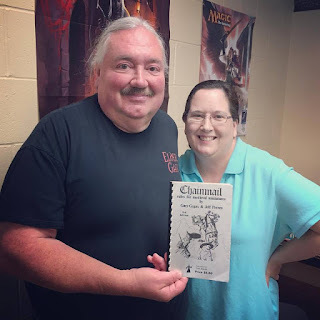 Over on neuronphaser's blog, Tim Bannock has a series of posts this month regarding what one needs for the various editions of D&D down through the years. Checking out the odd years, start with "Advanced Dungeons & Dragons 1E: What You Need" here. Also, have a look at "Dungeons & Dragons 3E: What You Need" here. Finally, round it off with "Dungeons & Dragons 5E: What You Need" here.